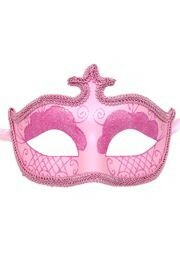 Make your party special and support National Breast Cancer Awareness Month by wearing Pink masks. 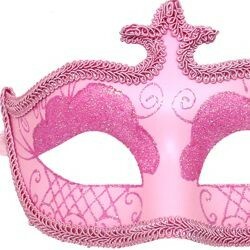 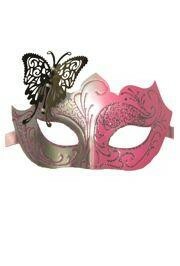 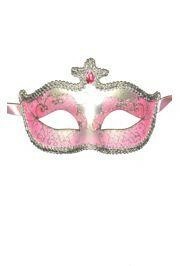 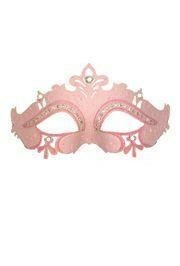 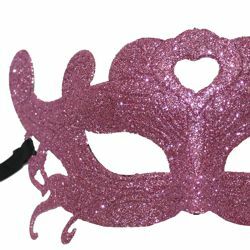 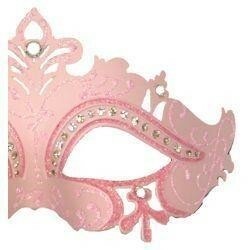 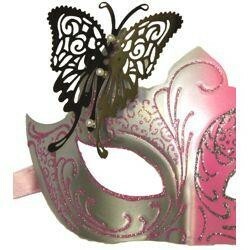 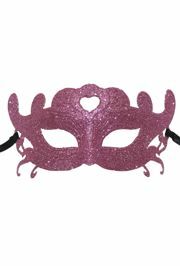 Pink face mask include pink Venetian mask, pink sequin mask, and pink paper mache mask. 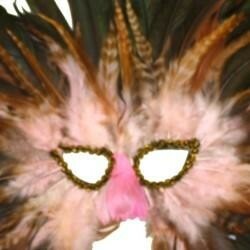 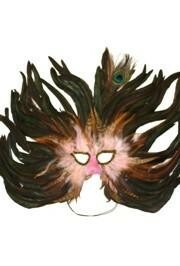 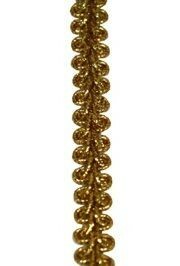 Light pink feather masquerade mask surrounded by dark iridescent coque feathers with gold trim around the eyes with peacock feather.